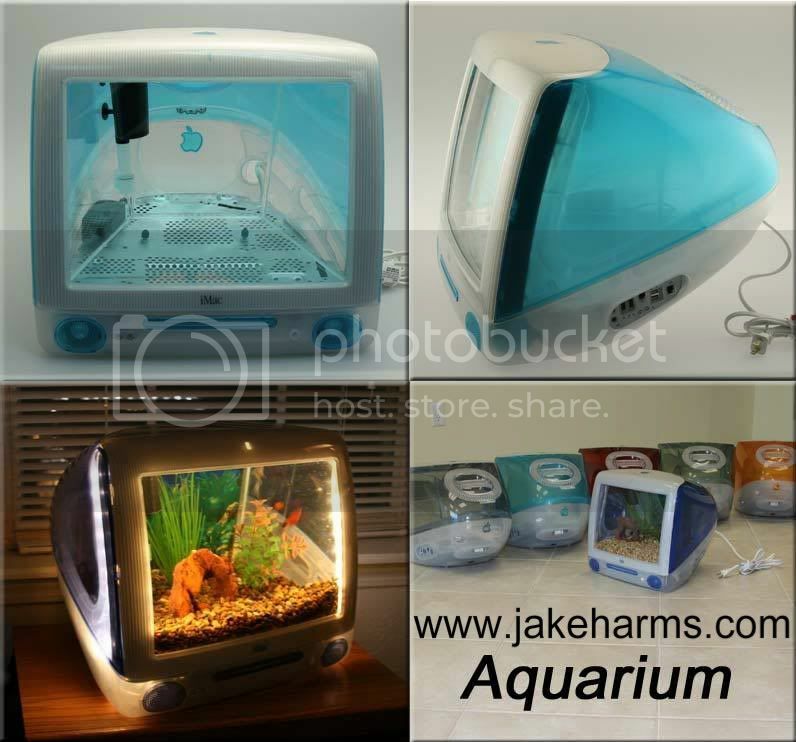 Does anybody know of any company that ships iMac (and older all in one macs) aquarium kits internationally? (By international I mean ship to Australia). There is a guy in Australia that does the all in one mac kits but he is on the other side of the country and won't ship them anywhere (says that risk of kits being broken is high). I'd have to take the macs there personally and bring them back - bit expensive just for aquariums/terrariums. I have a blueberry imac that has past its use by date (well it won't start and the original owner just wanted to get rid of it) and a couple of really old 12" macs and want to have a go at turning them into terrariums or aquariums. The Cube aquaria look really good.... I'm tempted to have a go myself. Nice link. ive seen all the aquariums at theapplecollection aswell and there great but the coolest wouldbe to take the insides outa all those allinones apple use to make and just make it a real aquarium instead. Hey, if the iMacs don't boot, and you still have the hard drives, is there any chance you would give them away ? Interests:I am currently making Macquariums out of any iMac I can get my hands on. I am building and selling several iMacQuariums. Building one yourself is really fun but it is much more work than it appears. I have perfected my design and am now building and selling them. If you are interested I have a detailed post in the buy/sell/trade section, or you can find pictures, features and ordering information on my MacQuarium website. He does ship kits internationally, I think. If you contact him directly via his website, James, he may be able to give you some hints.